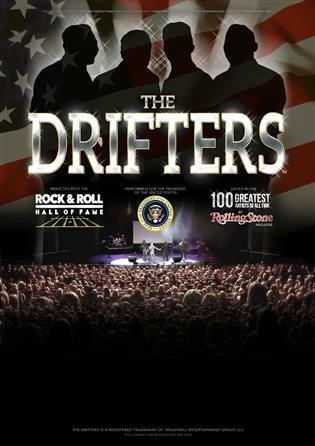 The Drifters are back on the road in the UK performing their classic hits from the last six decades. The legendary group have been inducted into the Rock & Roll of fame, performed for the President of the United States and listed among the greatest artists of all time by Rolling Stone magazine. Don’t miss their brand-new tour performing all the classic hits such as ‘Saturday Night At The Movies’, ‘You’re More Than A Number,’ ‘Come on Over to My Place’, ‘Up On The Roof,’ ‘Under the Boardwalk’, ‘Kissin In The Back Row’, ‘Save The Last Dance For Me’, ‘Down On The Beach,’ ‘Hello Happiness’ and many, many more!